Chelsea bad boy striker Diego Costa had been dropped from the Spanish national team following his antics during the recent match with Arsenal. 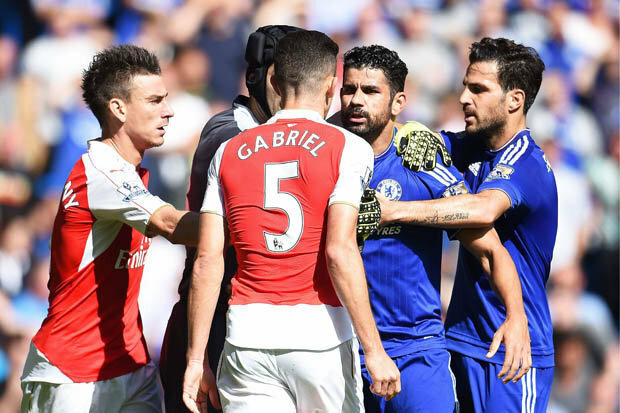 The Brazilian born Spaniard was involved in several altercations with Arsenal player during the 2-0 win at Stamford Bridge last month, and while he was not punished for his antics on the pitch a select panel of former referee’s reviewed video of the match and issued Costa a three-match ban for his behaviour. The 26-year-old must now live with the fact that Spain national team trainer Vincente Del Bosque does not condone this type of aggressive behaviour also, and has now dropped the 26-year-old for Spain’s upcoming games against Luxembourg and Ukraine. “What he did was unedifying, and that is why he was punished,” the former Real Madrid trainer said when pressed on his decision to omit Costa from his squad.